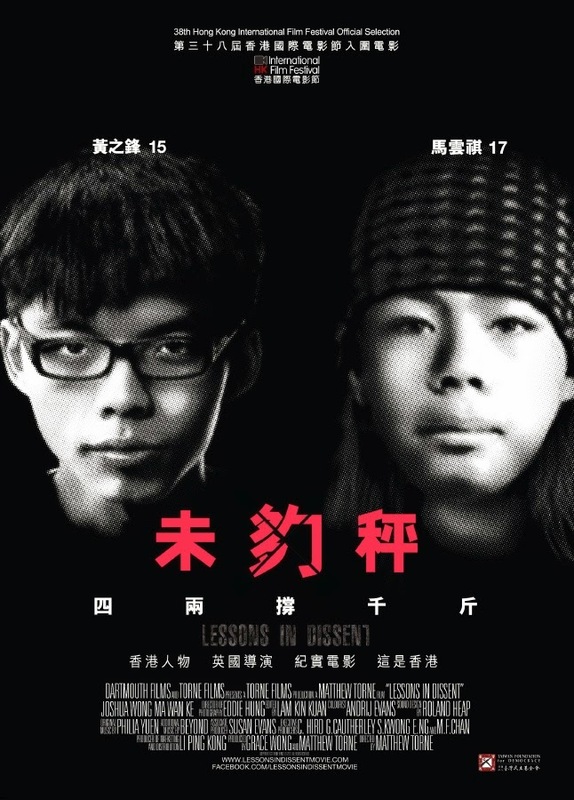 But 17-year-old Joshua Wong Chi-fung (黃之鋒) and 20-year-old Ma Wan-ki (馬雲祺) – better known as Ma Jai (馬仔) – can’t be more different from each other. Joshua is a household name and his spectacled face has appeared on every magazine cover. He is self-assured, media savvy and can slice you up with his words. Ma Jai? Not so much. He gets tongue-tied behind the microphone and fidgety in front of the camera. He is a foot soldier who gets up at the crack of dawn to set up street booths and spends all day handing out flyers for someone else’s election campaign. The two young men were the subject of a recent documentary by first time British director Matthew Torne. 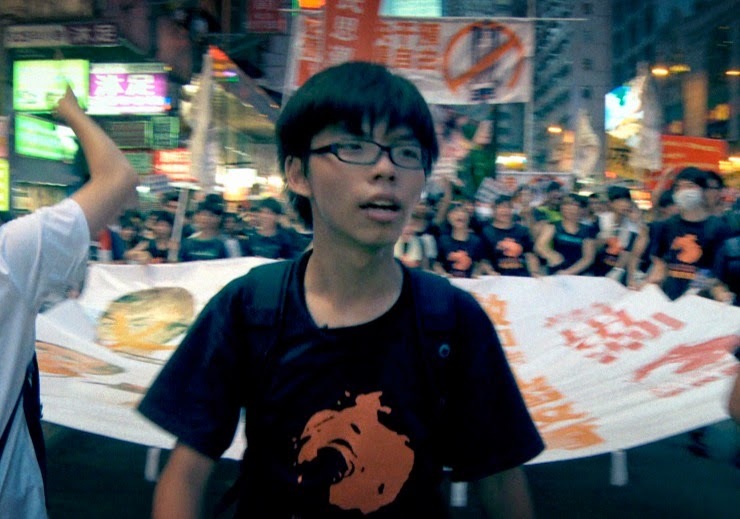 Lessons in Dissent (《未夠秤》), an official selection at this year’s Hong Kong International Film Festival, centers around the “Moral and National Education” (MNE) controversy in 2012 that drew hundreds of thousands of protestors to the streets. The watershed moment jolted citizens out of their political apathy and taught them that social movements, if properly run, can bring about real policy changes. For if it weren’t for activists like Joshua and Ma Jai, students today would have been sitting in MNE classes and learning how to praise the Communist Party and why they should guard against Western-style democracy. Joshua is a pint-sized force of nature to reckon with. 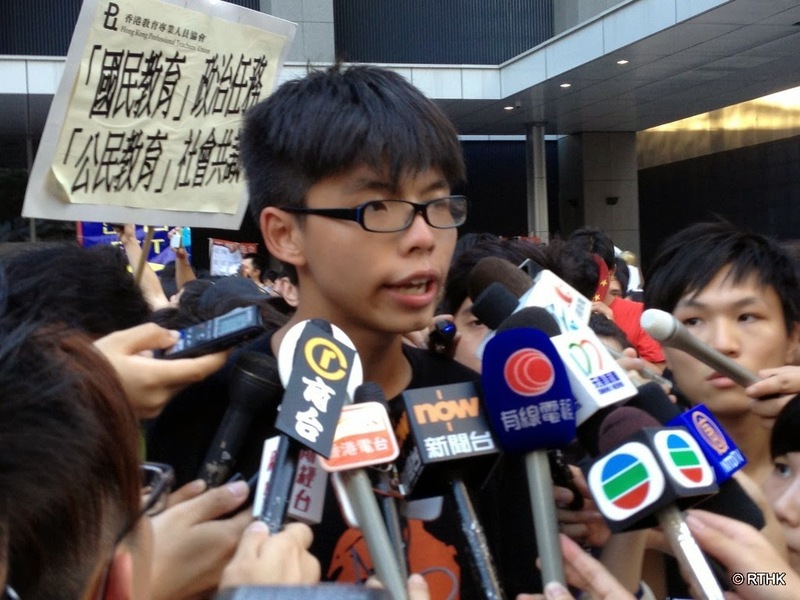 He was just 14 when he founded Scholarism (學民思潮) to promote civic participation among the youths. In the fateful summer of 2012, the self-described “middle class kid” mobilized scores of like-minded teenagers and staged a nine-day sit-in and hungry strike at the government headquarters demanding MNE be scrapped. It was his charisma and tenacity that captured the imagination of his peers, inspired many more and eventually cowered C.Y. Leung into retracting the curriculum. Since then, the 17-year-old has been using his new-found fame to fight an even bigger cause: universal suffrage. In the recent Occupy Central poll on electoral reform, Scholarism and its ally, the Hong Kong Federation of Students (HKFS; 學聯) put forward one of the three proposals on the ballot. Over 300,000 citizens (nearly 40% of those who voted) sided with the students in the end. There is little doubt that Joshua has already earned a seat at the table next to heavyweights like Anson Chan, Benny Tai and Emily Lau. Joshua loves the media, and the media love him even more. On any given day, the school boy may start the morning with a telephone interview with The Times, meet the camera crew of a Dutch television network before lunch and finish a 1,500-word op-ed piece for The Apple Daily by sundown. He carries an iPad to keep track of his back-to-back appointments and taps his stylus on the smart phone screen at a frightening speed. While his friends are busy playing video games, Joshua is debunking political myths on radio talk shows or challenging the establishment on televised debates. “I was in Form 2 [eighth grade] when I started. No one else has ever done what I did.” said Joshua. It wasn’t arrogance; it’s simply a fact. The teenage boy is a prodigy, a savant and a Hollywood child star wrapped into one. But there is always something sad about Hollywood child stars. All that media exposure has taken away Joshua’s adolescence and his chance at a normal life. He runs on so much adrenaline that he comes off as robotic, if not altogether possessed. Being a public figure has also hurt his public exam results and dashed his hopes to attend a more sought-after university. Notwithstanding these sacrifices, he wouldn’t have it any other way. “So far the benefits have outweighed the costs,” he explained. “I’ve experienced so much and made so many connections within a very short time.” Still, fame can be a double-edged sword. 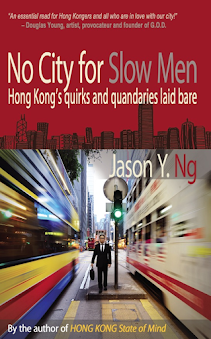 Joshua feels the weight of the city on his shoulders, and that the future of democracy depends on him. Although not a big Spider-man fan, he remembers what Uncle Ben told Peter Parker about power and responsibility. In a few weeks, Joshua will begin his freshman year at Open University. When asked if he was excited about starting a new chapter, he shrugged, “I don’t think I’ll be going to class much.” Here’s why. The Standing Committee of the National People’s Congress (全國人大) will convene in Beijing next week to discuss, among other things, the nomination procedure for the 2017 chief executive election. Whatever conclusion reached by the Standing Committee is expected to involve some mechanics to pre-screen candidates. As soon as Beijing throws down the gauntlet, Scholarism and the HKFS will fire the first shot of the Occupy Central movement by staging a student strike across all ten universities in the city. “We need to respond swiftly with action. Civil disobedience is the only means to achieving full democracy,” said Joshua, sounding more like Mahatma Gandhi than a freshman-in-waiting. Ma Jai was 16 when he was bitten by the social activism bug. In January 2010, he joined hundreds of students to besiege the Legislative Council to protest against the cross-border high speed rail link (廣深港高速鐵路), a wasteful pork barrel project that threatened to displace thousands of villagers in the New Territories. The movement opened his eyes to social injustice and political oppression. 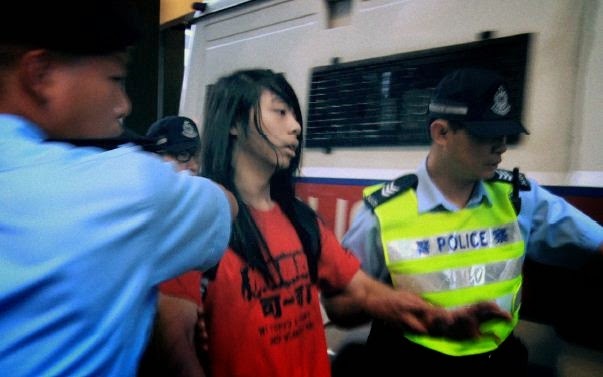 Armed with a new sense of purpose, the high school drop-out joined the League of Social Democrats (LSD; 社民線) – LongHair’s party — in 2011 and has been working there as a campaigner ever since. But activism isn’t only about banners and telephone calls. In 2013, Ma Jai was arrested for desecrating the city’s flag — a criminal offense in Hong Kong — and spent two days in a holding cell while waiting for an arraignment. He has had other brushes with the law. “I have two criminal records. Or is it three?” he couldn’t tell me for sure. Like a true revolutionary, he shrugs off convictions and considers them a badge of honor. He wears Che Guevara on his chest and has Karl Marx and Leon Trotsky on his lips. 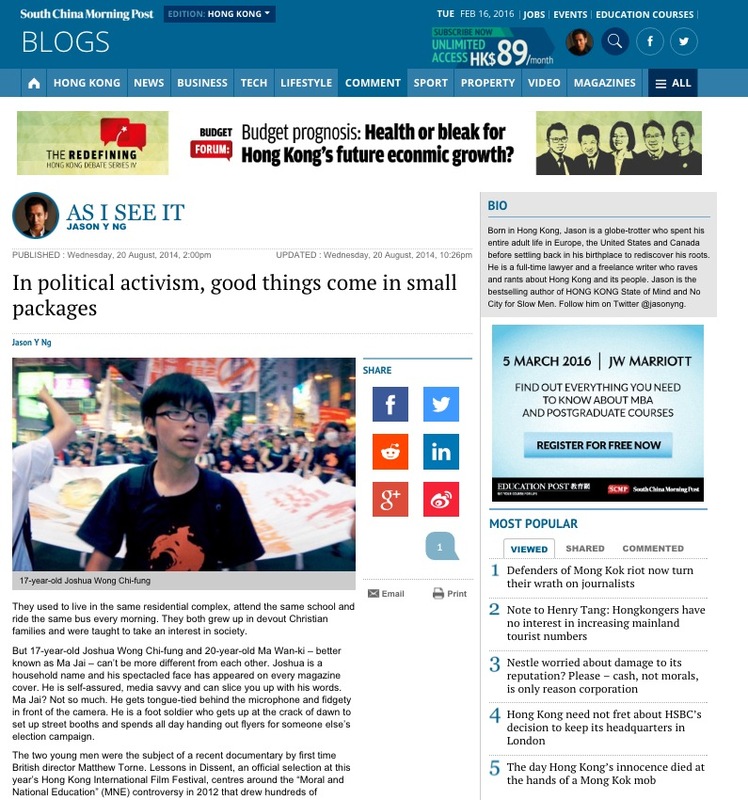 And when he is not fighting for universal suffrage or an old age pension scheme for all, he is speaking out for foreign domestic workers and new immigrants from Mainland China – groups that have long been considered politically toxic. “That’s why I belong here with LSD. We don’t compromise our beliefs for votes,” he said. As for Occupy Central, Ma Jai and his comrades are ready for battle. All hands are now on deck to back up Scholarism’s citywide student strike in September and to occupy the financial district as early as October. Despite its reputation for being a lone wolf, LSD has little choice but to take its cue from other political parties. 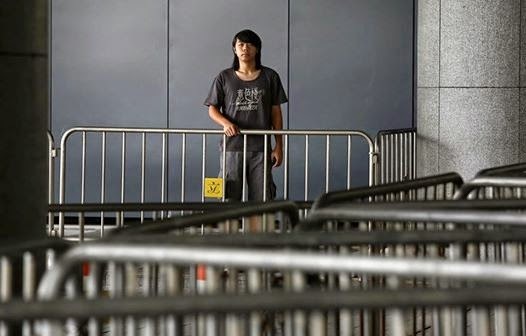 “We are not big enough to occupy Central on our own,” Ma Jai admitted. “We are counting on the rest of the pan-democrats to do the right thing.” He heaved a sigh, as he rolled a cigarette from a pouch of loose tobacco and lit it up. 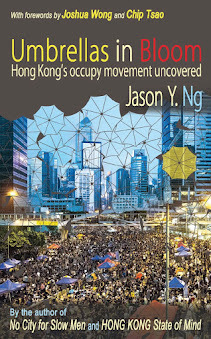 I attended a screening of Lessons in Dissent at the Hong Kong Art Centre last Thursday. During the Q&A session after the show, one of the members of the audience shared her reaction to the film. “I moved here from the Mainland 10 years ago,” the 50-something woman said. “I like Hong Kong because I can speak my mind here without having to look over my shoulder.” She then turned to the film's two protagonists and said, “I don't want this place to turn into another Chinese city. We need you, both of you, to make sure that doesn’t happen.” The woman was right. The future of Hong Kong rides on star leaders like Joshua and unsung heroes like Ma Jai — not one or the other but both. We need thousands more like them. For future screenings of Lessons in Dissent, visit www.facebook.com/lessonsindissentmovie. This article was published on SCMP.com under the title "In political activism, good things come in small packages."